A magical journey to the lost world of the "Ten Kingdoms"
The Imperial Bells of China- Chimes in Concert, transported us to the then lost world of the "Ten Kingdoms". We stepped back in time 2,400 years, as we witnessed an entrancing production. 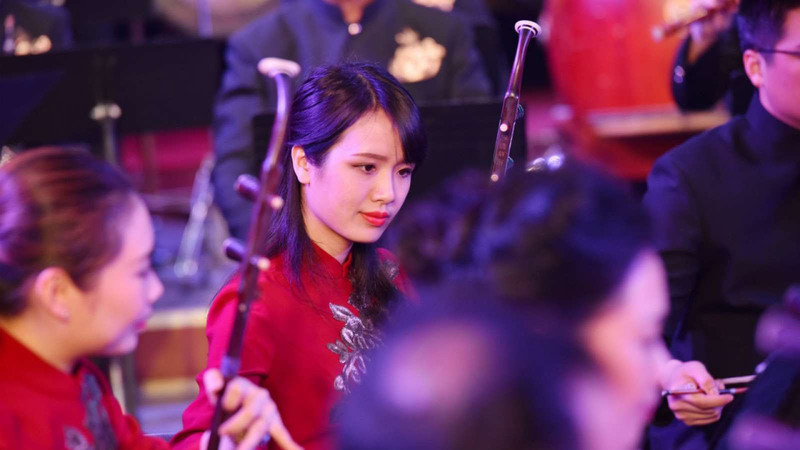 The internationally acclaimed Hubei Chime Bells Orchestra, with Zhou Wen (Conductor) and Concertmaster Hu Jian showcased an exquisite ancient and marvellous production, as we were immersed in history as well as being astonished by the awe-inspiring craft of ancient bells of China. It was undoubtedly a unique display, unlike any other orchestral performance! 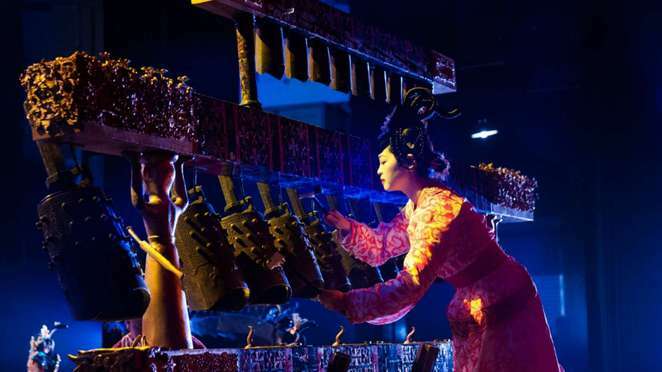 The harmonious sounds and marvel of the spellbinding ancient Chinese musical instruments took us on an enchanting journey…back in time, where Emperors ruled Ancient China…it was truly a transforming experience and a masterpiece of perfection. This high-quality performance was filled with rich culture. In 1978, the 2,400-year-old bronze and stone chime-bells of Duke Zeng's Tomb, together with a series of other ancient instruments, were unearthed in Hubei China. 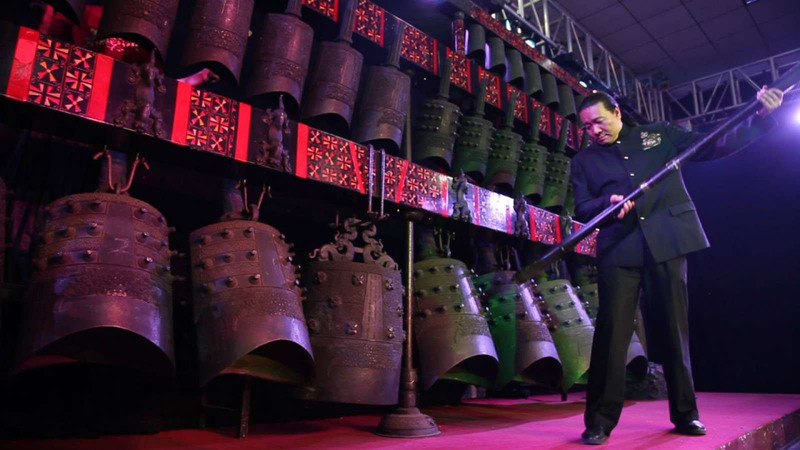 The 2,400-year-old chime-bells date back to 433 BC and are regarded as "the eighth wonder of the world". 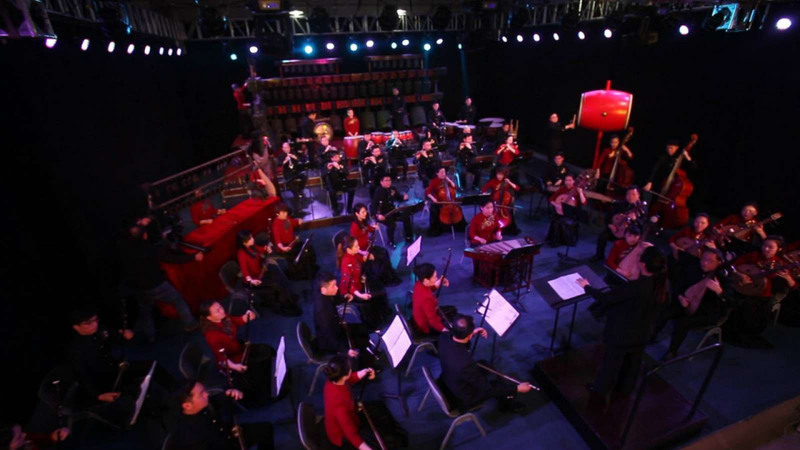 Inspired by these discoveries, the Hubei Opera Theatre staged the Chime Music Performance with song and musical instruments. The bronze, stone, jian drum and dozens of other awe-inspiring instruments were put on the same stage. Through this beautiful, mesmerising and at times 'hypnotic-like' ancient music, we were also greeted to two spectacular Opera performances, Female Vocal Solo and Male Vocal Solo; Ma Yaqin, sung "The Waves on the Lake Honghu and No Tears No Sorrow". It was an Operatic adaptation from "The Red Guards from Lake Honghu". Qin Desong, impeccably presented an outstanding medley of love songs: 'Love to the Three Gorges' and 'I'm Like a Snow Flake Falling from the Sky'. Both Vocal Soloists were incredibly spectacular with vocal expressions and sounds, whilst the ancient instruments played in the background, creating an alive atmosphere with an enchanting experience! As the evening moved on, we were welcomed to a marvellous solo performance which featured the Bamboo Flute Sole, by Zhang Hongyang who delivered and transported us to the adaptive piece "The Narrative of Broken Bridge". He executed this solo act with perfection and mesmerising moments. The highlight of this spectacular concert was, without a doubt, the Imperial Bells which were used throughout the evening by the orchestra. The softness, balance and strength of the bell pieces interwoven with the program and high lightened with chime music was magical. The grand music and the Chime-bells created a broad range of rich characteristics of incredible design, structure, harmonics, tone and crispness. 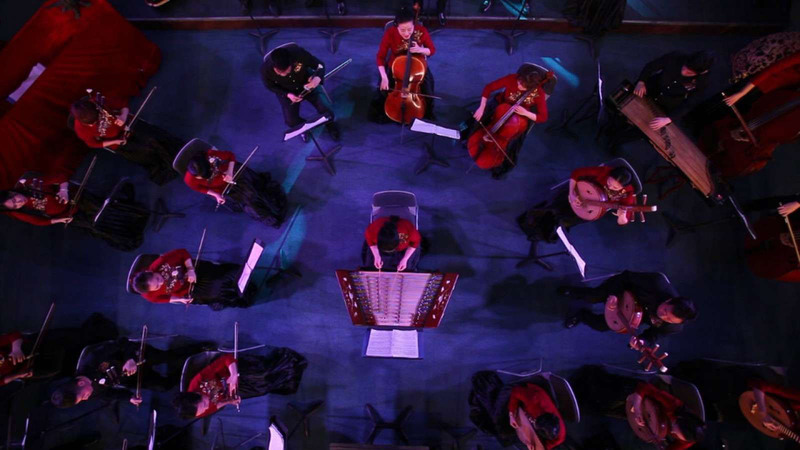 It was a flawless performance that showcased a rich diverse catalogue of music. It was truly a standing ovation for the Hubei Chime Bells Orchestra and performance of The Imperial Bells of China- Chimes in Concert. Whether you are a music lover, opera enthusiast or want to experience something different, then this performance is a must see! 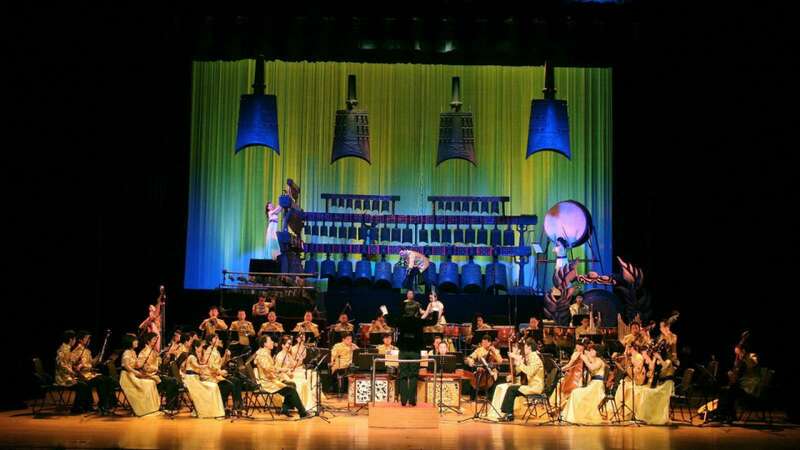 The sounds of the bells not only filled the whole Concert Hall with romantic and sonorous melodies but were visually breathtaking with the grand scale, as well as the elaborate ancient instruments. We certainly discovered music, culture and spiritual history, as we were taken away by the spellbinding beauty, romance and solemnity.